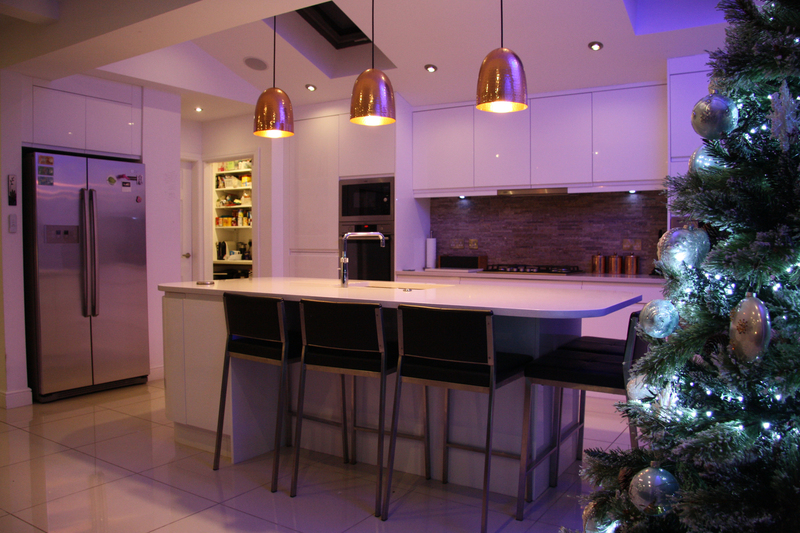 Here you are able to peruse a selection of completed projects from our ever expanding portfolio. 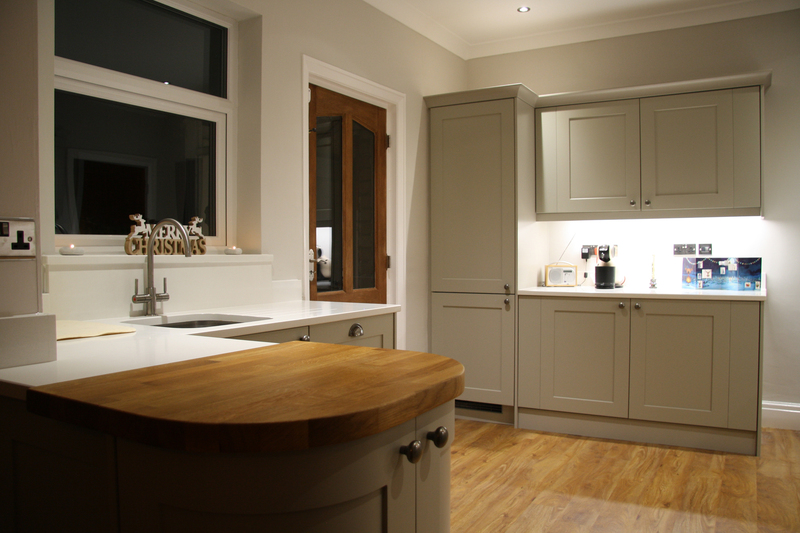 This page intends to provide you with examples from across a wide range of kitchens and styles that we offer. From unique modern designs, to more traditional finishes, this selection hopes to provide you with inspiration for your own home, while also showcasing the bespoke nature of our work. 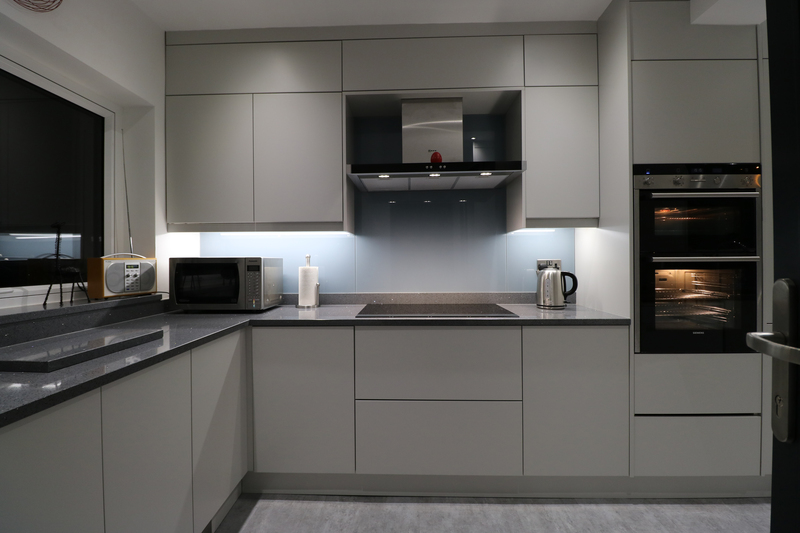 The contemporary kitchen design here works on two fronts, one the one hand its high gloss finish helps to bounce the light around the room, on the other, the modest white doors offer a blank canvass for personalisation. See how the team overcame the dilemma of how to generate extensive storage for a lifetime’s collection of belongings without imposing on the pre existing charm of this bedroom. Come and see how our team have made the most of the space at their disposal, employing intelligent use of natural light, colour tones and materials to engineer a contemporary and enduring feel. 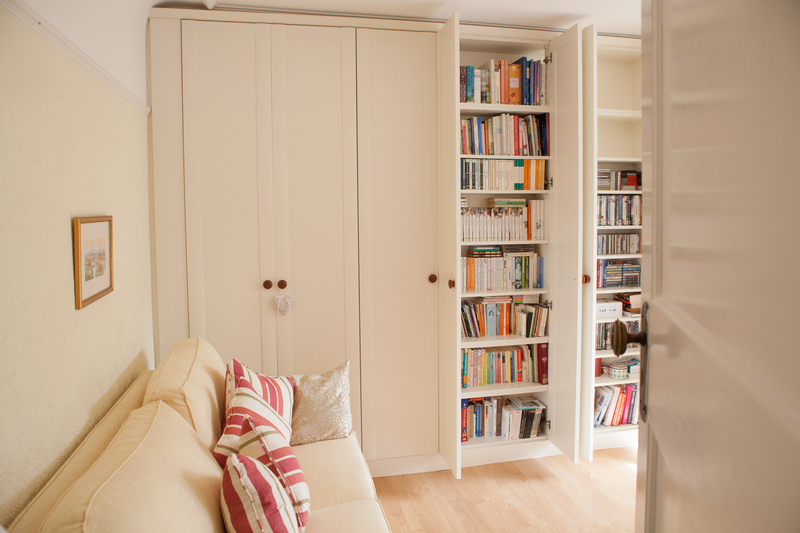 Come and see just how we made room for extra storage without encroaching upon the limited floorspace available. This combined with the shrewd employment of a limited palette ticked all the boxes for this client. 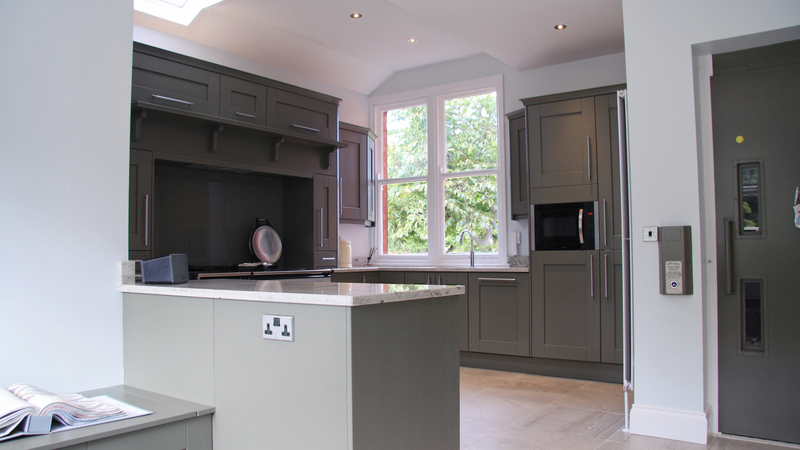 Discover this traditional but contemporary open kitchen design, in Farrow & Ball olive green, complete with a classic Aga cooker and ease of access to a family seating area and utility room.